A kurta (Hindi: कुर्ता, Bengali: কুর্তা, Punjabi: ਕੁੜਤਾ, Urdu: کرتہ‬‎ pronounced [ˈkʊrt̪aː]) is an upper garment for men and women, originating in the Indian subcontinent, with regional variations of form. The word kurta is a borrowing from Hindustani, originally from either Sanskrit kuratu/kurtaka or Persian (literally, "a collarless shirt"). It was first used in English in the 20th century. A kurta worn by females is called a kurti. The kurta is traditionally worn in India, Pakistan, and Bangladesh, and is also popular in Nepal and Sri Lanka. 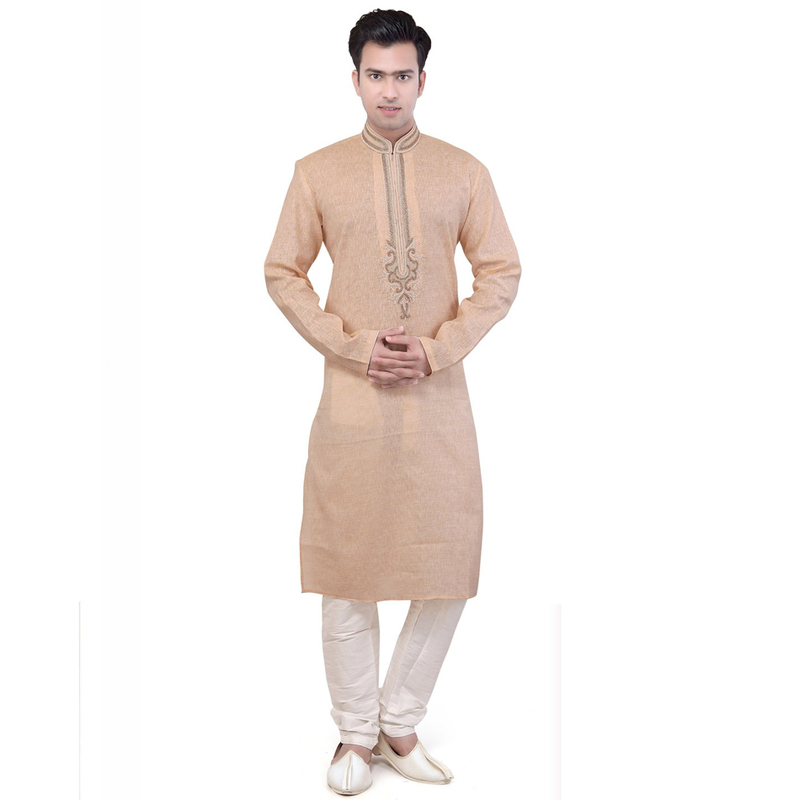 The kurta is worn with a dhoti, paijama, shalwar, lungi or jeans. The kurta is similar to the perahan worn in Afghanistan, the phiran of Kashmir, and the daura of Nepal.